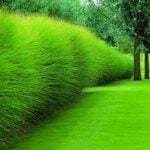 Landscaping with evergreens is the backbone of most garden spaces. Conifers are the stars of that group, including pines, firs, spruces, cedars and sequoias. However, landscaping with conifers can be confusing. After all, we’ve all seen that monster of a blue spruce have to be torn down because it outgrew its space, or those sad arborvitae planted as a hedge where half of them are a deep brown. Conifers are actually pretty easy to grow. 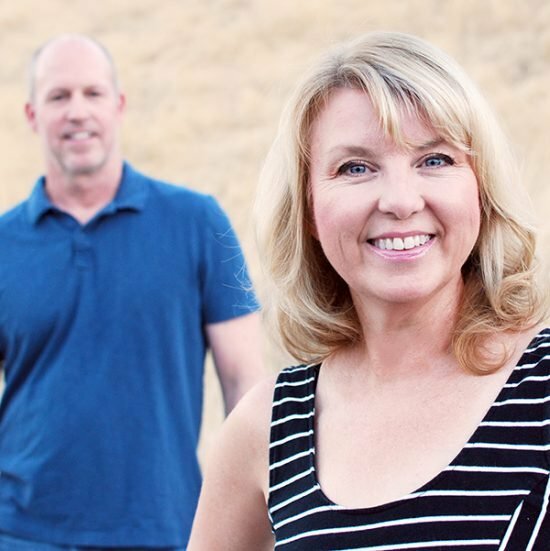 Follow these guidelines to make sure yours live for years, and get prettier each season. Choose a tree or shrub that fits your site in mature size… not the size you see in the pot. Evergreens are usually slow growing, but you aren’t going to feel good about cutting that tree down in 20 years because it is leaning on your house. 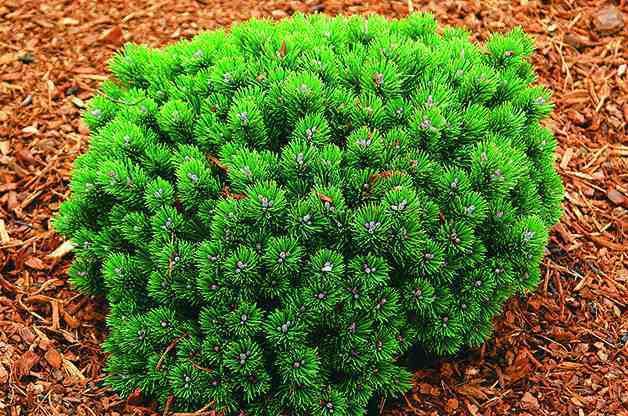 Dwarf conifers are the more modern choice for a streamlined landscape for most home gardens. 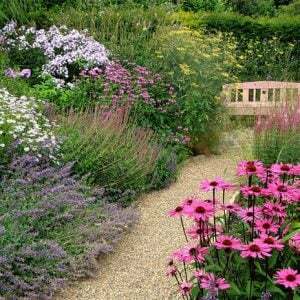 Use evergreens as focal points and four season plants to give the garden presence. 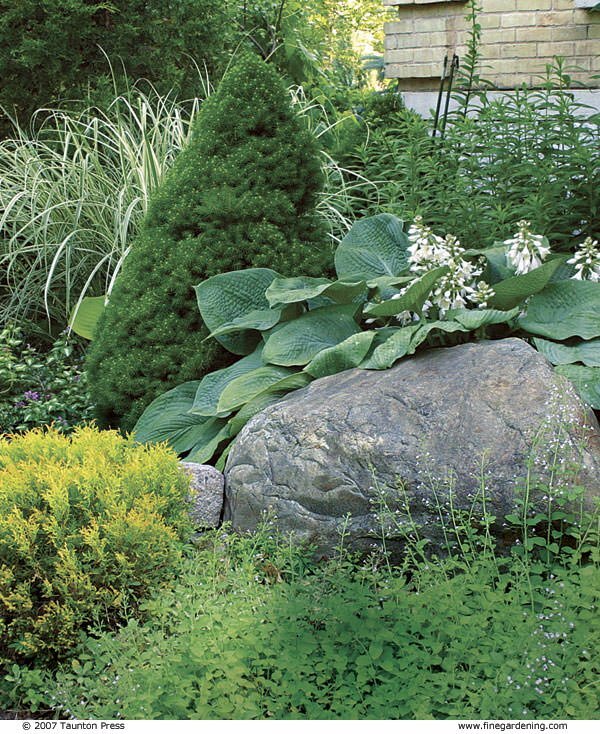 Layer evergreens with other plants for contrast and variety, and use a variety of shapes, colors and textures. Plant evergreens a little higher in the ground than they sat in the pot. Water them well until they have an extensive root system. Don’t let them dry out that first season. If you choose to stake a new tree, do it only for the first year, after they have developed deep roots. Mulch conifers well, as that is their natural habitat, (and they like cool roots) but don’t let the mulch touch the trunks. That encourages pests. Fertilize once a year with an all purpose plant fertilizer. While most conifers don’t need supplemental water once established, even mature evergreens can be affected by drought. In a time of extreme heat or drought, give them a long, slow drink of water. Conifers don’t show water stress until it’s almost too late… If they lighten in color or the needles get brittle, the plant is in trouble. 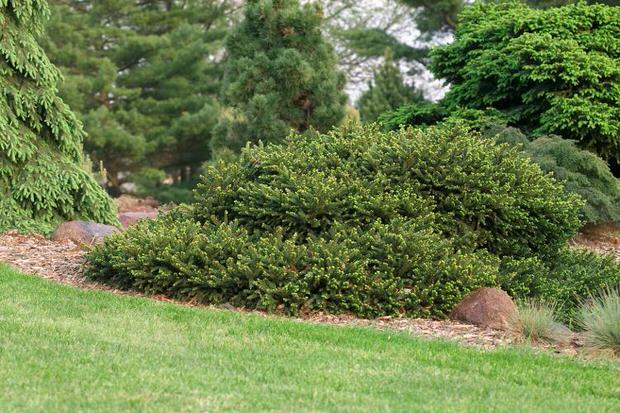 This is the number one way conifers are lost, and it’s an expensive mistake. Because they grow relatively slowly, replacing the size plant that you lost can take years. 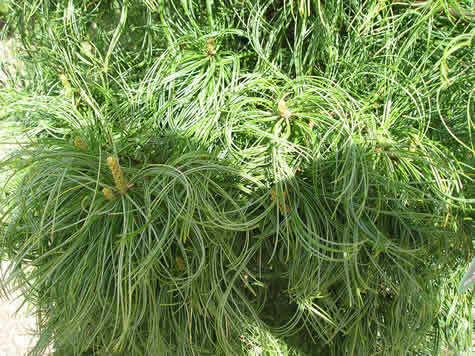 Most conifers just need light pruning of dead branches or branches that are too tight together. You can slow the growth of pines and other conifers by breaking off half the “candles” (those fingers of new growth in the spring). 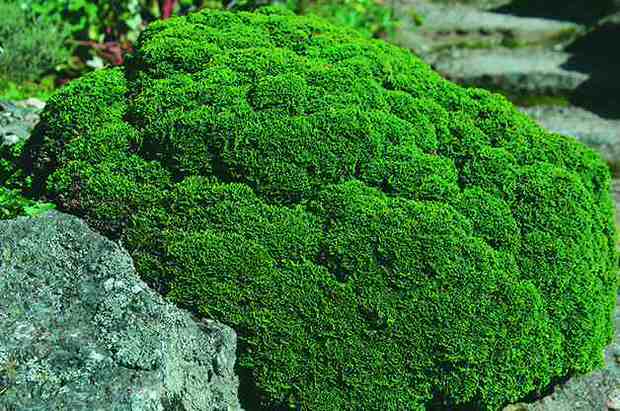 You can also train them to grow in certain shapes, espalier them or even grow them in bonsai. Example of layering evergreens with other plants within a garden. Photo from ‘Fine Gardening‘. Now that you know how to grow conifers, let’s look at some choices. We are choosing to concentrate mainly on dwarf and smaller conifers, as large size trees tend to overpower and overgrow most home gardens. 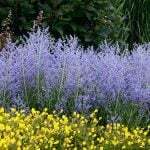 Here are some great choices for around the country, but certain areas may require a trip to your local nursery to discover what works for your part of the country. Also, if you live in an area prone to high winds or drought, a nursery professional may have suggestions that may overcome those obstacles. Always shop around, prices for evergreens can vary widely from plant to plant, and from nursery to nursery. 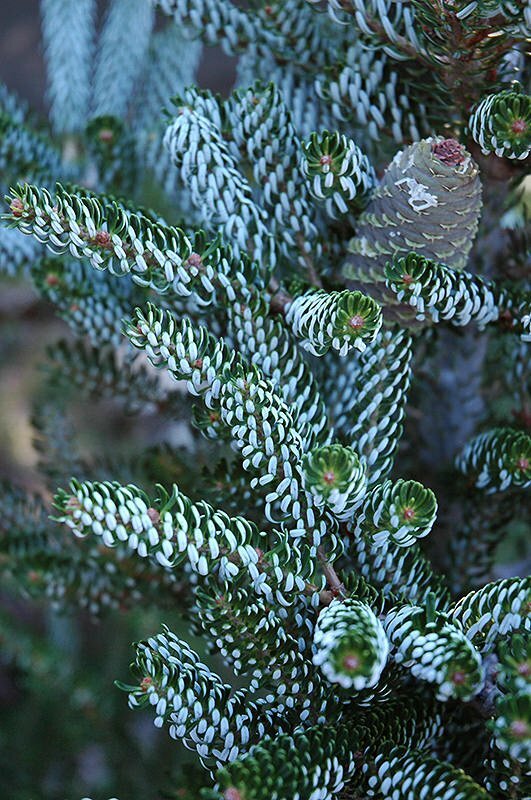 One of our favorite and easiest pine shrubs, but make sure you buy a dwarf variety of this plant. Older varieties can grow to 20 feet high and as wide without being pruned back. Carefully check the tag for plant growth, the most common variety grows 3-5 feet tall and as wide in 10 years. Photo by ‘Birds and Blooms‘. Used often in Japanese gardens, the dwarf Hinoki cypress comes in a variety of sizes and colors, including a golden variety. 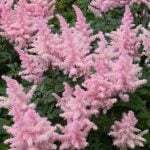 Slow growing over 15 years to full size, it is considered one of the best evergreen shrubs for it’s compact habit, soft needles and good coloring. It is pyramidal or global in shape, but also comes in small tree form. This variety is “Minima”, growing just 2 feet tall and wide, other dwarf varieties grow 8-10 feet tall and 1-3 feet wide. Photo by ‘Birds and Blooms‘. 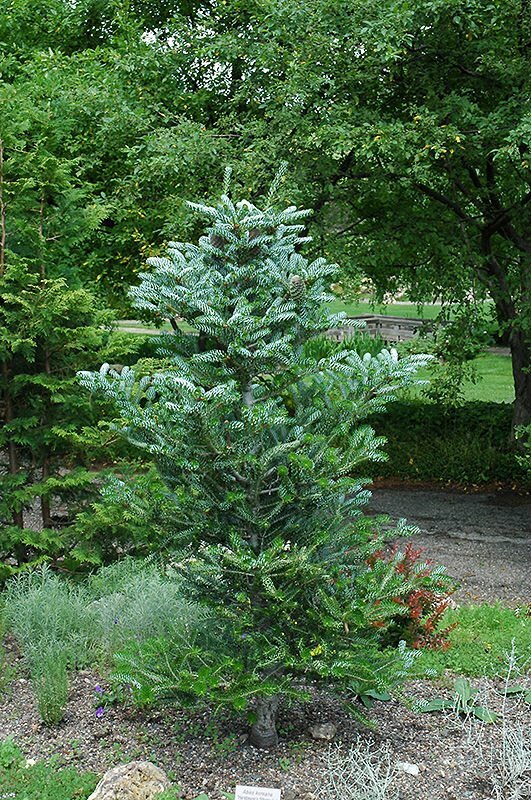 An excellent focal point in the garden, this evergreen shrub grows 3-4 high and wide and is an attractive globe shape. Deep green to golden varieties exist, but it’s always a stalwart plant for the garden. Photo by Rich’s Foxwillow Pines Nursery. 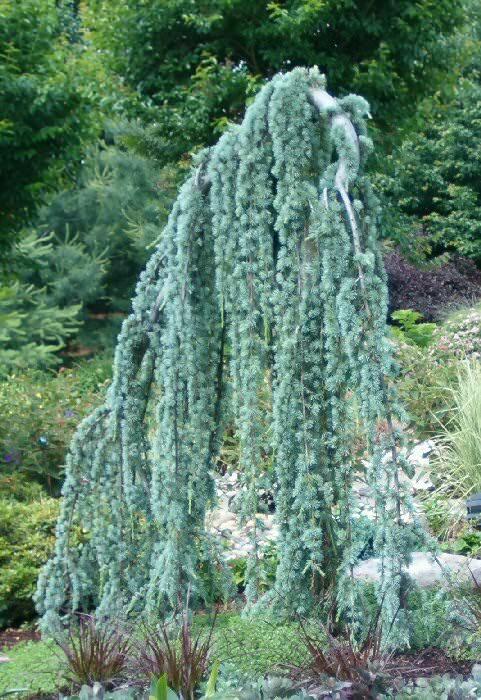 This low growing blue cedar variety is an excellent counterpoint to taller evergreens, contrasting in form and color. Soft needles and slow growing, it grows 2 inches a year to be two feet tall and eight feet wide at maturity, draping over anything in it’s path with it’s elegant form. Photo by ‘WSU‘. This tree grows slowly in a waterfall cascading form that is elegant and a masterpiece of design. Stake it as a small tree and let the branches cascade to the ground, or train it over a rock wall. This tree can be trained to grow in almost any form. Protect from strong winds. Photo by ‘Plant and Trees Online‘. This small pyramidal tree grows to 8-12 feet tall, and has attractive deep brown cones. But more strikingly, the needles curl upward to reveal a frosty underside that gives the tree its “silver” look. Striking in the landscape, easy to grow. Buy one with cones already on the plant. Photos by ‘Chalet Nursery‘. 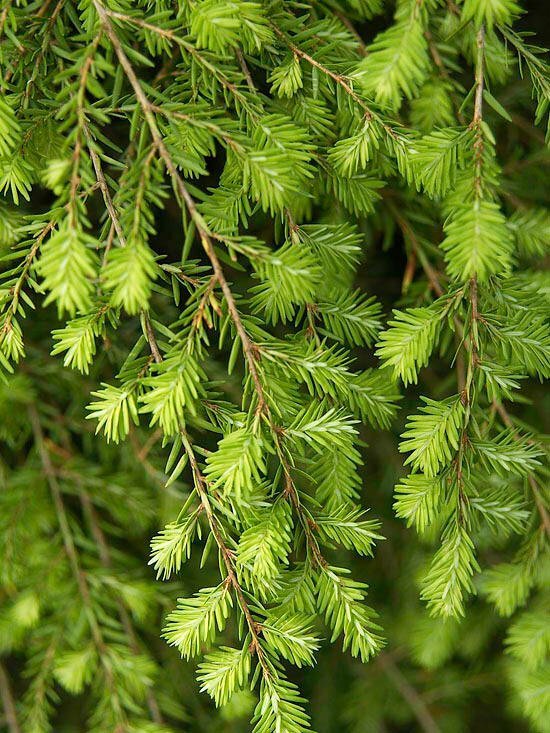 If you are looking for a somewhat larger tree for a focal point in your yard, but one that has a graceful form and gorgeous color, you can’t go wrong with Canadian Hemlock. This tree grows to 40 feet, but slowly. 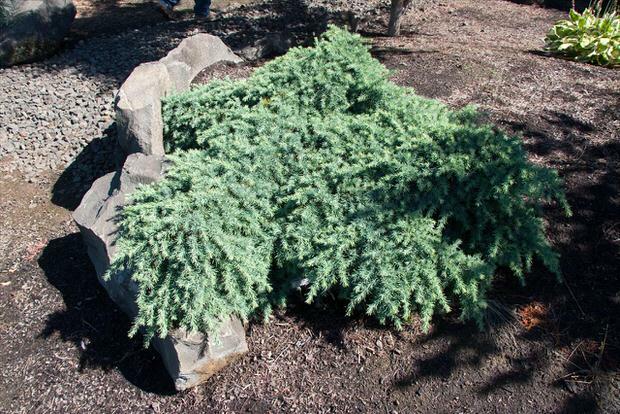 It does require a little more water than some evergreens, but it also will take a shady spot! 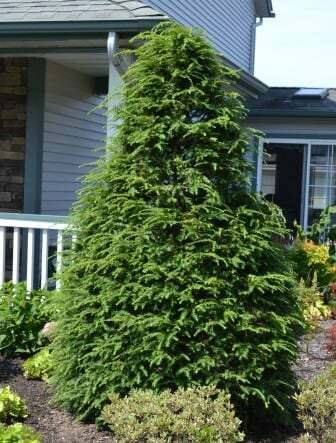 It grows pretty quickly for a conifer, at 1-2 feet per year, and can be sheared into a hedge shape as well.Photos by ‘Mikes Backyard Nursery‘ and ‘BHG’. This is great tree when you are looking for something different to grab attention. (What gardener isn’t?) It has long, twisted needles and branches giving it a unique appearance. 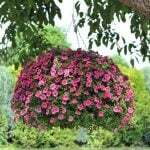 Grows 10-20 feet tall and 8-12 feet wide over 10 years. Photo from ‘Miller Nursery‘. Landscaping with conifers is easy if you know the secrets! 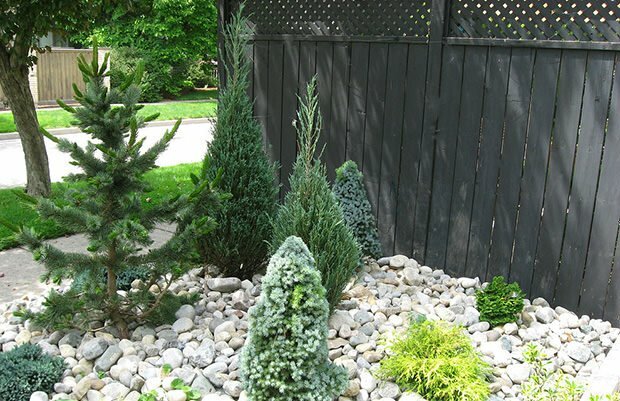 Do you have a favorite conifer that you have used in your garden space? Share in comments why you love it and what you know about it with all our readers! And then visit our posts on Marvelous Moss Gardens and 7 Classic DIY Garden Walkway Projects. 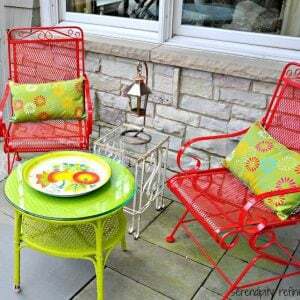 ← Make Your Patio Pop with Color! Make Your Patio Pop with Color!